Permission to Narrate is the blog project of The Jerusalem Fund and its education program, the Palestine Center. The name derives from a quote by the late Palestinian scholar, Edward Said, who remarked that Palestinians had been denied permission to narrate their history and speak of the day-to-day experiences of life in the margins. Their voices are so often absent from popular media. 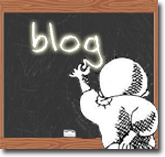 The blog seeks to educate the public by offering Palestinian perspectives on the news and events of the day. Handala, the cartoon character who is writing our blog’s name on the blackboard, is the signature character of the famed Palestinian political cartoonist and critic Naji Al-Ali. Al-Ali was murdered in London in 1987 by unknown assailants. Handala, typifying the Palestinian refugee, is always depicted by Al-Ali with his back turned, as if walking away from his homeland. He is present in each of Al-Ali’s cartoons, a constant reminder of refugee experience and the hopes of the generation to come. With this blog, we are permitted to narrate. Please note that the views expressed in blog posts do not necessarily reflect or represent the views of The Jerusalem Fund. You’ve heard the refrain time and again. The UN is biased against Israel. Israel is guilty of a wide range of violations of international law and human rights. Many stem from its ongoing military occupation and and colonization of Palestinian territory in the West Bank and Gaza, but many also go back to 1948. You’d think that the UN would have, given its supposed bias against Israel and Israel’s long track-record of breaking international law, long ago placed sanctions on Israel.